Der LTP ist ein sowjetischer premium leichter Panzer der Stufe 3. 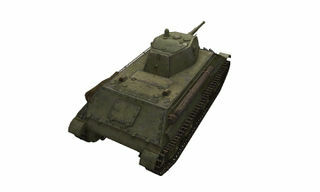 The LTP was a gift tank given to players to celebrate Wargaming's 15th anniversary, and given to celebrate World of Tank's 5th anniversary.With a lower power/weight ratio, an inaccurate gun, and good front and rear armor, the LTP stands out among the fast-moving, poorly-armored lights that are commonplace at tier III. Despite many of its shortcomings, the LTP benefits from preferential matchmaking which ensures that its always capable of pulling its weight in battle. Though the LTP is designated a light tank, its odd characteristics mean, that in practice, it plays more like a close-range flanking medium. The LTP's low power/weight ratio prevents it from being an effective scout or high-speed flanker. Though slower than most lights of its tier, the LTP is also better protected. With 30mm of well sloped armor front and rear, the LTP is easily capable of bouncing shots from small-caliber guns and autocannons. The sides of LTP are thinner and mostly flat, with a 15mm top plate and 20mm lower plate. 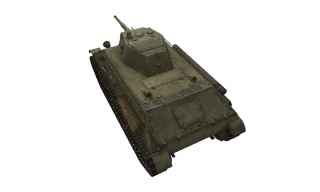 The inaccuracy of the 45mm 20KL gun means that it's often only effective at close range, and while the LTP has more armor than most tier III lights, its not reliable enough to bear the brunt of most enemy attacks. 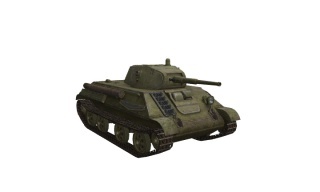 Despite it's low power/weight ratio, the LTP is still maneuverable enough to attack the flanks of larger enemy tanks. By doing this, the LTP avoids the dangerous firepower of larger enemies and can use its armor to weather the firepower of any of the smaller enemies supporting it. 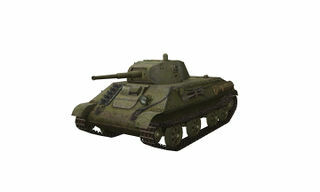 The LTP is often compared to the T-127, which features the same gun and many similar design features. The LTP is the more difficult to use of the two due to its odd armor configuration and bad aim spread values. 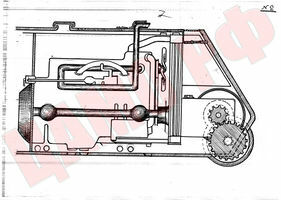 Despite having a lower hp/t ratio than the T-127 (15.45hp/t on the LTP vs 19.84hp/t on the T-127), better terrain resistance, faster chassis traverse, and a higher top speed means the LTP is generally more mobile than the T-127. There is very limited information available about the LTP, as it was a project that never went beyond a paper proposal. 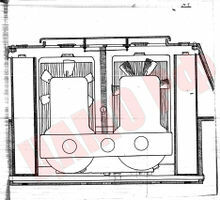 The design was submitted to the Red Army GABTU department for innovations in July 1942. The designer, Lieutenant K.J. 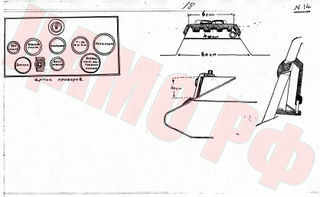 Provornov from Ulyanovsk, was not a tank designer by trade. 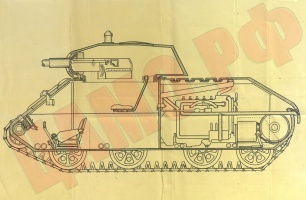 Nevertheless, the LTP was a serious and well-detailed design that could have easily been produced were it not for the existence of the T-70, which ultimately made the it unnecessary. Diese Seite wurde zuletzt am 12. Februar 2018 um 14:09 Uhr geändert.